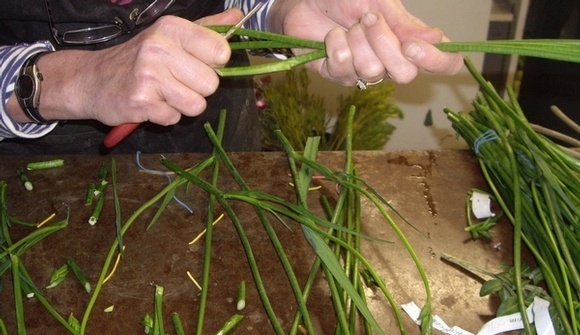 Here is the proper way to cut a flower stem. Many people ask if they have to cut the stems at all, the answer is always Y. E. S. Even if we cut it in the store, the answer is yes. Even if there are water pics on the ends, the answer is yes. Even if you don’t want to, the answer is yes! Prep your vase before you cut the stems! Add about half a pack of powder (flower food) to the room temperate water, which should be almost at the top. As with cooking and baking, preparation is key and will make the rest of the job much easier. 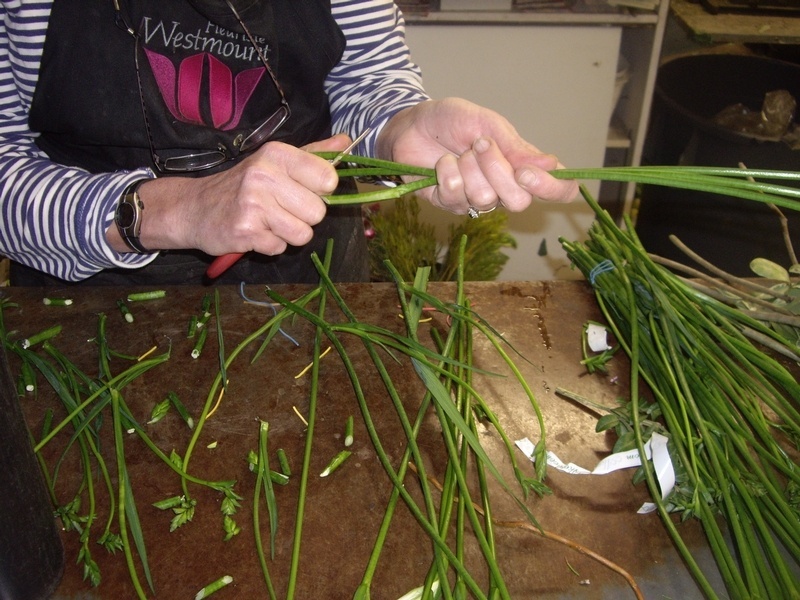 Make sure you have a sharp knife or secateurs or at the very least, very sharp scissors: A dull cutting tool will squish the cells at the end of the stem, preventing them from taking up water. This can cause roses with a bent neck or flowers that are shriveled and wilted. This can be remedied by re-cutting with sharp tool. Cut a bit off the end at an angle: The angle makes a larger surface from which the flower can drink, as well as prevents the stem from sitting right on the bottom of the vase. Get them into the vase pronto! Waiting even a minute can be too long. The stem ends seal up very quickly (1-10 seconds) so all your hard work will have been in vain. You’ll have to cut the stem again. Repeat steps 1-4 in a few days, prepping your vase with fresh clean water. Enjoy your beautiful, longer-lasting flowers! A note about bulb flowers (tulips and hyacinths, for example): they don’t like flower powder and prefer cold water. If you have any unanswered questions about how to cut your stems you can call our Montreal or Point-Claire location and one of our expert florists will be happy to assist you.